Typically, some people would have fears and uncertainties over starting up a new venture or business investment with little or no money. They may naturally have doubts about the business working. I have written out for you viable and very profitable business ideas you can start with little or no money. So, if you’re quite ready I’ll take you through some 50 small scale business ideas in Nigeria and business strategies to run it right. 1. Quail bird farming. This business is fast becoming one the most profitable business in poultry agriculture. With a high return investment within a short period of time. This is a business that is guaranteed to blow your mind! Quails are reared for their flesh and eggs, but their eggs are gold. This bird is capable of laying an egg daily. Here in Akwa Ibom the average price of selling a Quail egg is #40, and it sells quickly due to especially high demand. Fertile quail egg is considered to be much more nutritious than chicken egg, and medical practitioners and naturalists recommend consumption of quail eggs for the treatment of many ailments such as high blood pressure, gastric ulcer, liver problems, asthma, anemia, etc. Little wonder it is regarded to be a super food. You can produce fertile quail eggs in your farm by mixing your quails in a male to female ratio of 1:5(1 male, 5 females). Quail farming business is being forecast to take over chicken poultry business in Nigeria. This is due to its high rate of returns and lower cost of investment and minimal active labour (or labour cost) in rearing them compared to chicken farming. With a startup capital of around #250,000 and a good marketing strategy, you can earn an average of #100,000 monthly. 2. Mobile food vending. The age we are in is a fast paced one, and despite the fact that Nigeria is a developing country, Nigerians live a ‘fast paced’ life and we are trying to catch up with the rest of the world .Women now are either on business or at work. So every typical day is a rush, and as people seek to balance work and survival, they still need to feed well. The solution to this problem is hawking cooked food for sale. For this reason, mobile food vendors are making tons of cash from the business. This business is a basic small scale one with absolutely little capital involved. All you need do is construct a mini truck and buy food flasks to store already cooked food. The beauty of this business is that people would rather just grab a plate of food than walk into a restaurant or fast food hub, also you are mobile, this means that you can make yourself available anywhere you are needed. We have a mobile food vendor in my street, she simply moves around from Street to Street, most times her stock gets consumed in our street even before she gets a chance to move on to another street! Everyone is busy trying to make ends meet, and these days, even women are not exempted. I particularly like the flexibility of the business, because at most by 12pm, my street’s mobile vendor is done with sales for the day. Just imagine the possibilities with this business venture. 3. Catering services (indoor/ outdoor). This business has no season as food is a basic necessity of man. So, anywhere you have humans, you have the need for food, what this means is that if you can meet this need, you are in for serious money making. Right. Now moving on. So, if you’re a business enthusiast that’s all you need to start up this venture, you don’t necessarily need to be a caterer. All you need do is set up your own catering services outlet. Hire skilled caterers, acquire cooking equipment and the rest is history. With good connections and a good marketing strategy you are on your way to running a successful catering services outlet. The opportunities for you in this business are endless. Whether it’s a festive season or not. You’ll make huge profits. I forgot to add. Hire the best caterers, build networks, get referrals, and trust me, you will thank me later! 4. 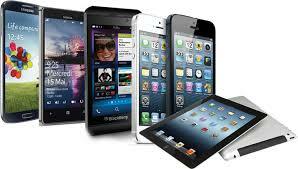 Mobile phones sales and repairs. With over 30 million mobile users, the phone repair business is now officially a Nigerian business. Since the introduction of mobile phones into the country, the demand for phone repairs has seen a great surge. So if you’re not trained in this field and would love to venture into it you can simply get affiliated with training programs that will efficiently train you to become skilled in this field. It is also no news that the sales of mobile phones is a very viable and lucrative business in Nigeria, so I’d suggest that if you’re a phone freak, you may want to migrate to this business venture and establish yourself in it. You don’t even need to rent a shop immediately. You could just by leasing a small space and then erecting an umbrella or banner of some sort. Place a notice, and there you go. 5. Rental services. 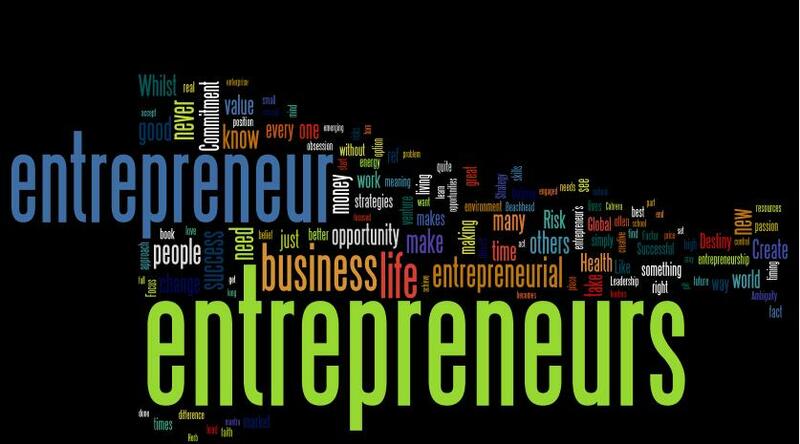 This business is a very lucrative one and is a sure way to create wealth for business enthusiasts. You can easily start with a hundred tables and chairs with 4 to 6 families and take it from there. 7. Frozen food sales. Selling frozen foods is another lucrative small scale business to venture into. It doesn’t require any special skills whatsoever. All you need is capital, a shop space, at least one deep freezer and then stocks such as fish, chicken, turkey, gizzard etc. Make sure the environment is always kept neat and clean. Feed the birds regularly, vaccinate them. Give them clean water and always make sure their cages are well ventilated and kept clean. 9. Used car sales. You could start this business with no capital at all. Yes,you read me! Simple. Just find family or friends or anyone at all who wants to sell their car. Next find people who are looking for used cars to buy. And that’s that! Just act like you’re the actual seller, do the transactions, remit funds to original seller and get your own profits after negotiations. 10. Social media marketing. If you are experienced in this field, all you need do is get enrolled in an online course, which are usually cheap and produce great benefits. There are lots of new marketing fields opening up such as influencer marketing. Big companies in Nigeria are looking for freelancers able to provide marketing opening that is SEO friendly and can transform website visitors into conversions. This business requires little or no capital. As long as you have huge social media following you are into business. Reach out to potential clients and grow your network. 11. Blogging. Are you an expert in a specific field? Do you have some degree of expertise in some area of knowledge? From travel, cooking, finance, fashion, health etc. If you know something particularly well, why not tell the world through a blog? You could even use this platform for your online marketing and growing your network. You can make money by offering advertising space and reviews of products on your platform. All you need to do is start your own blog and learn how to get it running smoothly and profitably. 12. Freelance writing. You can either choose to be a full time freelance writer and start making your money from this, or become a part time writer supplementing a regularly paid income. Just go online and connect with sites that are in need of writers and get started. 13. 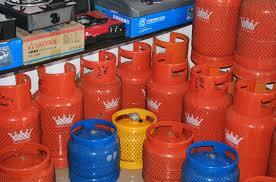 Cooking gas sales. This is a very lucrative small scale business in Nigeria, because next to food, energy is a major human necessity. And so you will find that the sale of cooking gas is very profitable and easy to start. Once you get the right capital, a shop space and gas refills, you are good to go. 14. Transportation. People need to move from one place to another to make ends meet. Therefore this is a business you could go into with little or no capital. With a little cash you could rent or purchase a vehicle, get the required legal documents and then get started. From there you can even expand and purchase more vehicles and hire other people to man them. 15. Uniform making. You can get into uniform making, particularly school uniforms for kids in nursery/ primary/ secondary schools. 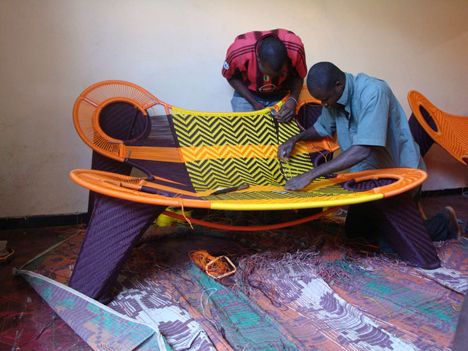 If you are skilled in tailoring and are ready to make good money, this is the business for you, all you need do is get clients, reach out to them and let them know what you can do. This is not a big deal. Just reach out to people in your church, your neighborhood and social networks. 16. Bulk SMS services. If you are looking to start a very profitable business with little capital, then you should consider venturing into bulk SMS reselling. Bulk SMS reselling simply entails buying custom SMS units in large quantities and selling them to customers at slightly increased rates. You don’t require any special skills for this business and you don’t need more than a PC (or tablet), a reliable internet connection and a little cash to get started. Once this is done you then register with a bulk SMS wholesaler. After registering a reseller account with a wholesaler, you will need to buy a specific volume of custom SMS units to start with. 17. Daycare center/ crèche. Nursing mothers need to be able to resume work after expiration of maternity leave. And for this reason the daycare business is thriving seriously in Nigeria especially in the cities. The daycare center should be favourable and highly conducive for babies and most importantly educative to build them up. 18. Pastry making. Pastries are always a relish anytime and can be used to complement meals and also as a substitute for meals. It is the perfect fast food anytime of the day. If you can make pastries like chin chin, cupcakes, cookies, doughnuts, you are in for business. Even if you can’t and you’re a pastry lover. So .any catering center are available which offer trainings. Get enrolled and start learning. Or you can take online courses on pastry making. Once this is done and you feel you can run your pastry shop. Rent a shop, start making and selling your pastries and of course you know it can be combined with selling soft drinks. This will yield more profits. 21. Ethanol production. The market for ethanol in Nigeria is quite large and ever expanding. Ethanol can be brewed locally, but the distillation process would not be perfect. All you need is sufficient cash, a warehouse big enough to house tanks or drums. Ensure that the warehouse is fenced to prevent intruders and bush fires. Reach out to universities, secondary schools, hospitals,local gin manufacturers, the list goes on. Start selling to make money. 22. Security gadget sales. Here’s another great business idea. Just rent a shop and stock it with security gadget, with an efficient marketing strategy in place, you are guaranteed to keep smiling to the bank. 23. Cleaning services. This is a particularly lucrative business which is currently thriving in Nigeria. With or without any special skills. Just create a client base, acquire cleaning gadgets, hire freelancers and full time workers if you want. And that’s it. 25. Sports viewing center. This business is trending now in Nigeria. Nigerians are passionate lovers of football. So you can turn this opportunity into big money. Starting a football viewing can be very lucrative. And almost anyone can engage in it. First you have to pay attention to the location. Get a good location, acquire two good TV sets, dual view cable TV with subscription, standing fans, generator set and wooden benches. 26. Sports betting agency. About 60 million Nigerians between 18-40 years of age may be spending up to 1.8 billion on sports betting daily. An investigation by the news agency of Nigeria (NA) revealed in August 2014. This is definitely to jump into. Just rent a sizable shop space in a residential area with a predominant population of youths. Then acquire a computer, a printer, a generator set and furniture. A licensing fee is paid to the sports betting platform that will come around to install their software on your computer, create an account for your cafe and train you and your staff on how to properly run the business. 27. Building blocks production. The money making potential in this business is just amazing. This business can earn you up to 1million Naira monthly. To start with acquire a piece of 60 × 120 plot of land in area in a developing settlement, either or lease the land, whichever is preferable. Then buy diesel Lister and be sure to get the original. This is what you will use to power all your equipment. Then sink a borehole because you will need constant supply of water for mixing and for watering the blocks. Next you need a block molder then construct wooden block carriers, employ workers, set up a small shed to set up the machine. Acquire cement, sand supply and diesel supply. With these in place, you now officially own a cement block industry. 29. Ice cream production. Are you a caterer? Or maybe you really love icecreams? Why not turn this love affair into a business venture? So many tutorials abound online on ice cream production. Get trained and start producing. You don’t even need a shop space, produce at home then take it out for marketing, or you can offer to supply local stores around you. 30. Jewelry making. This is quite a lucrative business. Trending now among females is bead making. Again, you can get enrolled in bead training centres, if you’re not already skilled. I would suggest you create a Facebook page to advertise your work. 32. Photography and videography. If you have creative photography skills, you might want to start your own business. Buy your camera, create a website. You then need to rent a studio. Get some professional experience, you could do this by working alongside a professional photographer. And then buy 2 cameras, 2 high quality lenses, 2 flashes, Photoshop and light room. Remember to invest in a killer website. 33. Monogramming and branding service. This is another female scale business with large profits. A hundred thousand naira is about enough to get it started. Products are branded with computerized monogramming machines and heat transfer processes. For a startup, a two bedroom flat space is required. The machines you will need include heat transfer machine, printers and computerized embroidery and monogramming machines of different heads, depending on your financial capacity. Heads refers to the quantity of products the machine can work on at a time. You will need at least 10 staff. You also need to have experience in production and ability to handle minor repairs. 37. Affiliate marketing. With affiliate marketing you don’t need any capital whatsoever. However, you will need to build a strong internet presence. Affiliate marketing is simply selling people’s products and getting paid commissions. I particularly love this business as it helps boost my marketing skills. All that is required is acting as the in-between of sales transactions, in return you get some percentage of the profits from the seller. So if you’re interested in affiliate marketing, start actively searching for products/services you can market on behalf of people .the profits you can earn from this business will depend on your negotiations with your partner. 38. Fruit sales. Here’s another business I so much love, because of my love for fruits. Fruit sales business yields 100% profits as a matter of fact. Just source for where you’ll be buying hour fruits, get a good location in a residential or non-residential area and set up your business. Be creative with it too. 42. Pest control. Pest control business is a lucrative one and it isn’t overcrowded. So, it’s recommended for people with little startup capital at their disposal. The basic equipment you need are vacuums, bait guns, foamers, sprayers, fogging equipments and safety equipment. You can opt for second hand equipment if you’re low on cash. Create a good marketing plan and start earning. 43. Ice block production. This business is as easy as it gets. You can easily run it from home. Using your deep freezer (buy if you don’t already have), containers of different sizes for production, and that’s that. It’s a really flexible and lucrative business and you can earn up to #70, 000 monthly just by selling ice blocks. 44. Night clubs/ bars. You need to have a good understanding of this business before entering it. That this business is lucrative any highly profitable, cannot be overemphasized. Just get a good location to attract the kind of clients you are targeting. Set up a good interior design and architecture, quality sound systems and a good DJ and well trained staff, quality food and drinks. And most importantly, quality entertainment and customer service. 50. Paint making/ house painting service. Nowadays construction business is generating enormous revenues. So, if you can produce paint, or even paint buildings, you should probably be there into this business. Start up by developing a good marketing strategy. With this in place, you are well on your way to generating but revenues for yourself. There are probably so many small scale business ideas in Nigeria than we know. What is important is doing your research and conducting thorough market research for any business you’re interested in.